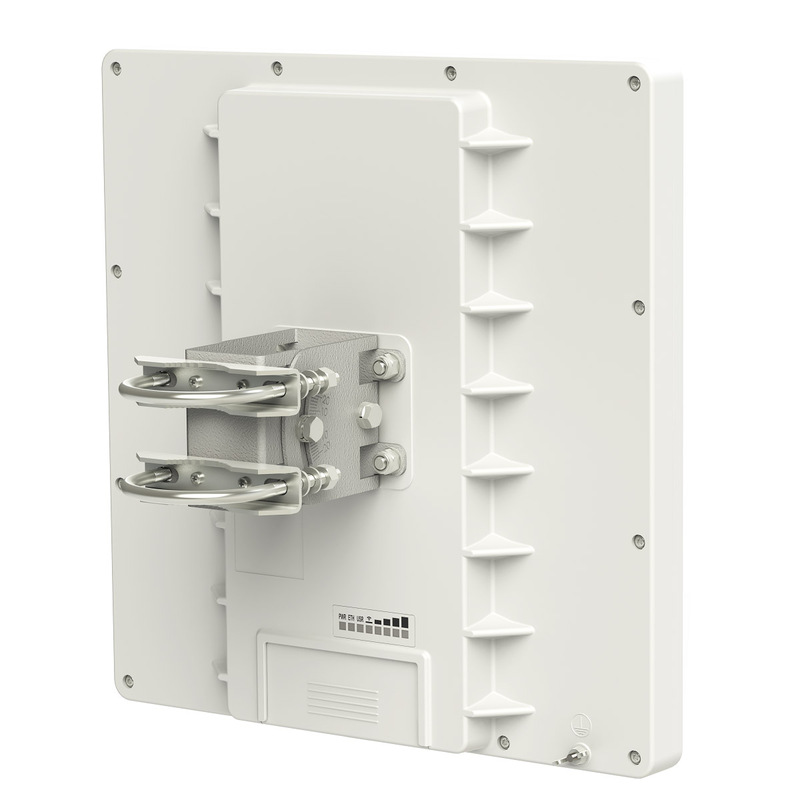 The QRT 5 is a rugged outdoor flat panel antenna, with a built in RouterBOARD. The device has a 23dBi antenna and a high power 5GHz wireless transmitter. Inside is the high power RB911 dual chain wireless device (see separate brochure), with high performance, high output power wireless transmitter. 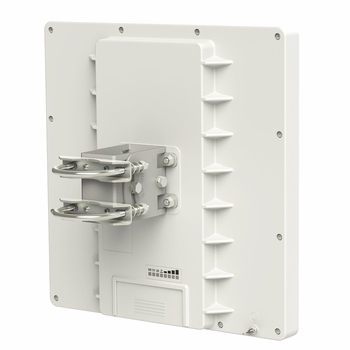 It has a Gigabit Ethernet port, to fully utilise the benefit of 802.11n high speed wireless. Easy to use and quick to deploy, QRT is ideal for point to point links.